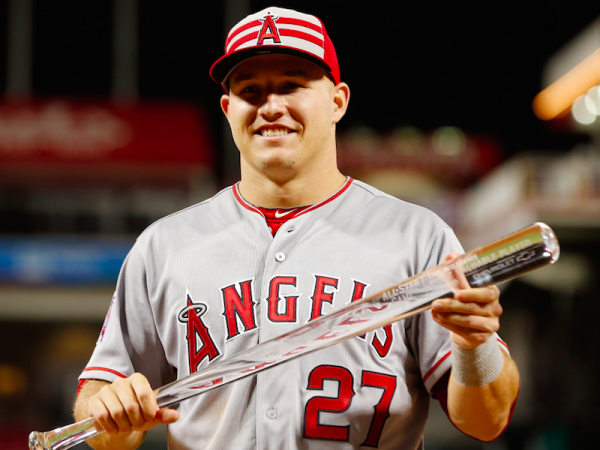 We have our MLB DFS 8/21/18 slate for Tuesday. Like we’ve mentioned numerous times in all of our videos, weather is extremely important at this time of the season, and lineups are constantly changing. Make sure you keep an eye on both, but check back here for updates. Odubel Herrera went 4 for 5with a homer and 4 runs scored as the Phillies mashed the Nationals, 12-2. J. D. Martinez helped the Red Sox over come a pair of big Seattle rallies with his 4 hit performance, including 5 RBI in the 14-10 final. Patrick Corbin threw 7 shutout innings, striking out 12 Pirates, helping set up Arizona’s wild 13 inning 2-1 victory. Shane Bieber tossed 7 shutout innings, striking out 9 Tigers as the Indians cruised to a 10-0 win. Zack Greinke struck out 9 Cardinals in 7 innings, allowing just 1 run as the Diamondbacks cruised to a 7-1 final. Kevin Gausman threw 8 2/3 shutout innings, allowing 7 hits and striking out 8 Rangers to earn the 4-0 decision for Baltimore. Odubel Herrera got 3 hits, including a homer, driving in a pair, to lead the Phillies past the Braves 4-3. Eduardo Nunez homered twice, added another hit and drove in the winning run with a 10th inning ground out as the Red Sox walked off against Kansas City, 9-8. Jon Lester was perfect into the 6th and allowed only 3 hits and 2 runs over 8, striking out 10 Cardinals, to get the 3-2 Cubs victory. Danny Salazar returned from the disabled list to threw 7 innings of 1 hit shutout ball, logging 8 strikeouts of Toronto batters. He did not get the decision but the Indians walked off 2-1 winners. Ryan Braun reached base 4 times, homered and drove in 4 whiles scoring 3 to help Milwaukee get a crucial 9-8 victory over Philadelphia. Elvis Andrus got 3 hits including a homer as the Rangers came from behind to top the Rays, 4-3. Cody Bellinger hit for the cycle, driving in 3 runs and helped the red hot Dodgers bounce the Marlins, 7-1. Matt Chapman got 3 hits including a pair of homers, one that tied the game in the 8th as the A’s walked off 5-3 winners over Cleveland. 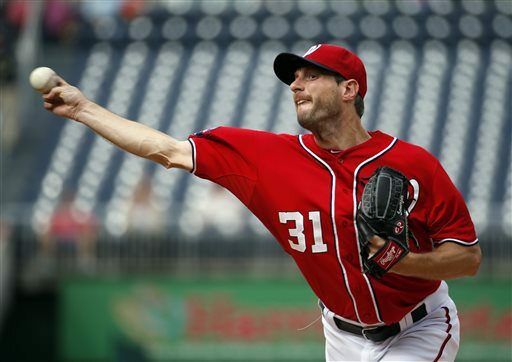 Max Scherzer struck out 10 Reds over 6 shutout innings as the Nationals held on to the 10-7 victory. 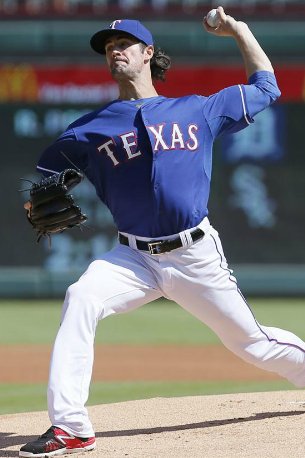 Cole Hamels threw a shutout into the 8th, going 7 2/3 innings allowing 4 hits and setting up the Rangers 1-0 blanking of the Royals. Philadelphia held a massive consecutive sellout streak from the time CBP was in its first year until the latter parts of their team starting to decline in 2012. In 2015, the franchise finished 14th out of 15 clubs at the turnstiles with just 1.8 Million fans. This was the second straight year of a huge decline. For those reasons it is okay to slowly build this team up with salary. Philadelphia even dipped below the $100 MIL barrier in 2016 for payroll, and managed to bump attendance up to 1.95 MIL fans. With a projected payroll of $104.0 based on recent additions of Clay Buchholz and Howie Kendrick, the club will look to be a little more competitive in 2017, and rise that attendance beyond 2 MIL again. The Philadelphia Phillies used to be a force to be reckoned with. 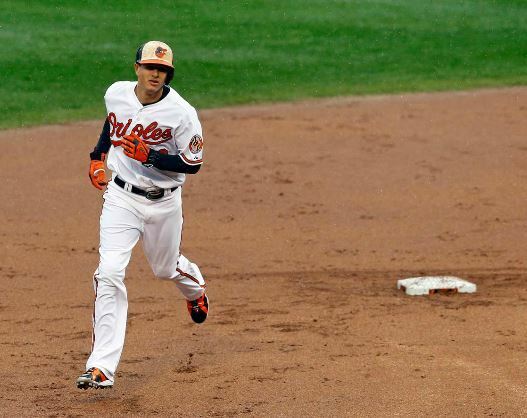 “The team to beat” started their historic stretch in 2007, ripping off five straight National League East Division titles which included two trips to the World Series and a championship in 2008. Players like Jimmy Rollins, Cole Hamels, Chase Utley, and Ryan Howard paved the way to the first championship team since 1980, but that all began to spiral out of control when Howard tore his achilles tendon during the final out of the 2011 NLDS. NY Yankees: They need to speed the clock up like Back To The Future 2. The Pinstripers are resetting for the 2019 season and beyond Bryce Harper era. Based on how good the Red Sox Winter meetings have gone this far, you have to know there will also be a lot of Yankees 27 World Series Rings to Boston’s 8 on a T-Shirt scoreboard. It is time for our yearly letter to head to the north pole. Perhaps the ‘fat old jolly’ guy will respond promptly at the 2016 Winter Meetings. The Bronx Bombers will also ask for their former Captain to please make more appearances in the public eye so they can milk the retiring of Derek Jeter‘s #2 on May 14, 2017 for about the next 6 months in a viable smokescreen to their 2017 performance. 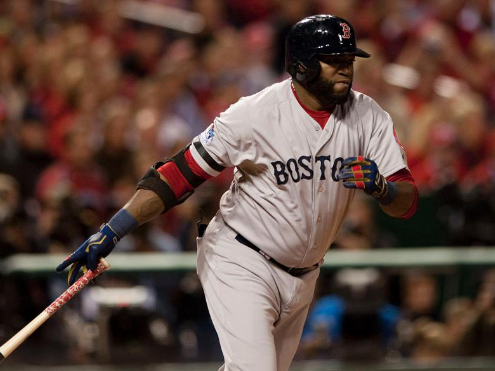 Boston: Can we ask that Richard Simmonds become Pablo Sandoval‘s personal trainer all offseason?. For a guy who had more broken belts than hits in 2017, Sandoval can re-write his Boston legacy by proving what he can do when they are in the 2017 playoffs. There also needs to be a discounted rack at Fenway Park for all of the S-Medium shirts that may have been there for the recently departed Yoan Moncada. The Red Sox are always the clubhouse leaders in big tall lanky pitchers who herk and jerk when throwing, so can we ask the home broadcasting network for extra wide lenses. Jose Fernandez struck out 12 Nationals over 8 innings of 3 hit shutout ball and earned the 1-0 decision for Miami. Matt Boyd allowed only 1 run and 3 hits over 8 frames and led the Tigers to an 8-1 beating of Minnesota. Odubel Herrera went 3 for 4 with a homer, 3 RBI and 2 stolen bases to help the Phillies edge the White Sox, 7-6. Edwin Encarnacion homered and doubled, driving in 3 as the Blue Jays clobbered the Mariners, 10-2. They all owned baseball on September 20, 2016. Nelson Cruz homered twice, one being a grand slam, and drove in 7 to lead the Mariners in a 14-5 slug fest over the Blue Jays. Trevor Story went 4 for 4, homered twice, drove in 5 and stole a base to help the Rockies top Atlanta, 8-4. Kevin Gausman threw 7 shutout innings, striking out 7 Indians and earned the 5-2 victory for Baltimore. 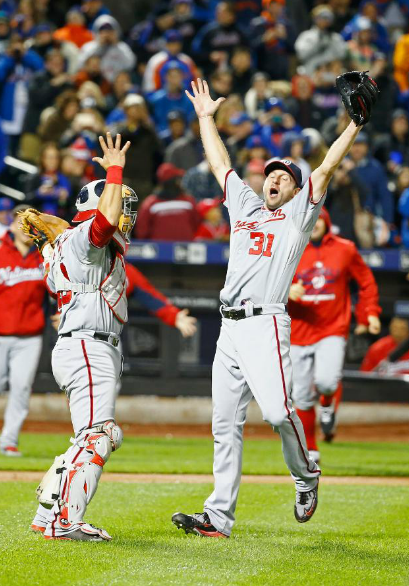 Max Scherzer struck out 10 Padres in 7 innings, walking none and allowing just 2 runs. He did not get a decision but Washington walked off 3-2 winners. They All Owned Baseball on July 23, 2016. Well not much has changed from this week as compared to last week. Detroit carried its free fall to 4th in the AL Central, the Yankees took 5 of 7 contests – and 7/10 in their homestand to save their season for now. 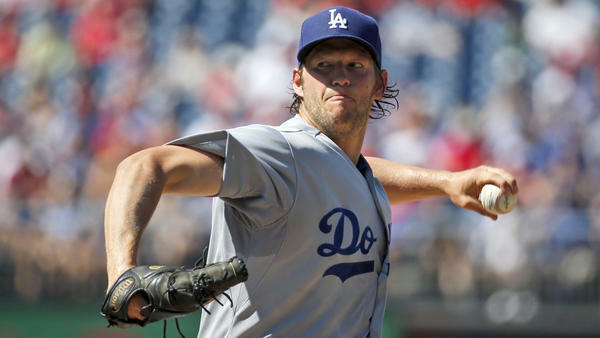 Miami and Philadelphia continue to stick around in the NL East, and the Giants and Dodgers finally had winning weeks to make the NL West Division Leader respectable. Nobody looks scarier right now than the Boston Red Sox offense, who led by David Ortiz, Jackie Bradley JR. and Xander Bogaerts, plated 10 runs or more in 5 of the last 6 games, after going their 1st 32 games without doing so. I am still awaiting for a Jays big winning streak. 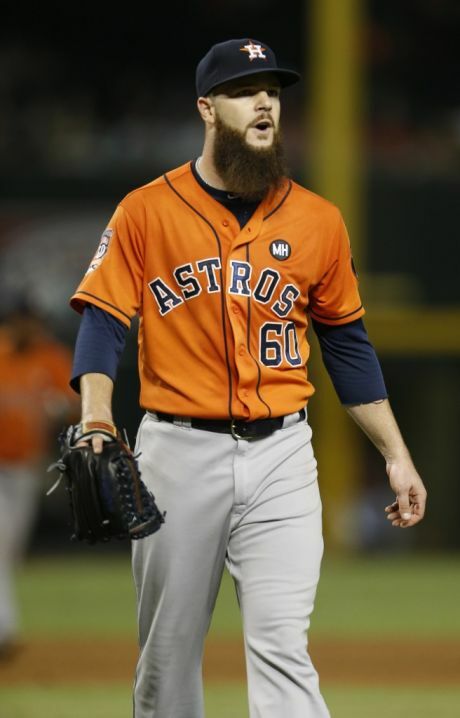 Houston has not played winning baseball since the 1st 6 weeks of the 2015 – and are tending to resemble the 2007 Tampa Bay Rays more than anything. All offense and little pitching and defense. There is nobody struggling worse than Logan Morrison, Russell Martin, Carlos Gomez and the consortium of LF’s in Anaheim! Recently bouncing out of this list are Jason Heyward and Chase Headley. We are nearing the quarter pole and rapidly approaching Memorial Day Weekend, so it is not early anymore. 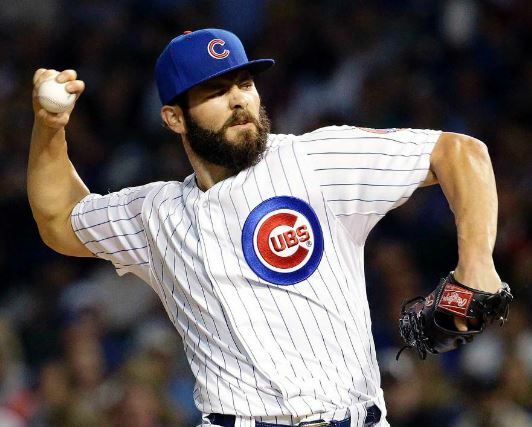 (1) (1) Chicago Cubs (E) (24 – 6) : A real bad day for the Cubs is battling with a team like Washington on Sunday, to see whether or not they are going to sweep them or go 3 – 1 in a series. Yep, they swept the 4 game set in a 13 inning walk off HR by Javier Baez – to cap a 7 – 0 week. They are on pace for about 129 wins right now. Depth of the Starting Rotation is looking solid with Jake Arrieta, Jon Lester, John Lackey, Jason Hammel (Killer J’s) and Kyle Hendricks. 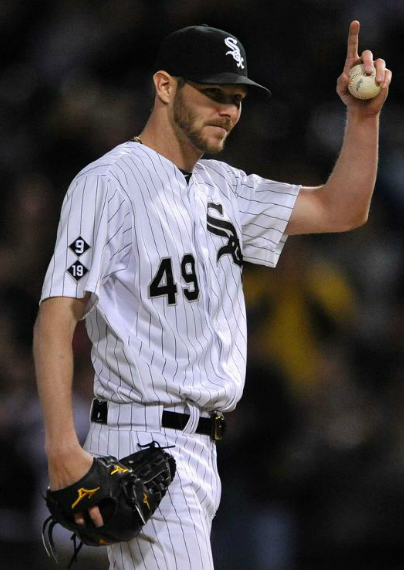 (2) (3) Chicago White Sox (+1) (22 – 10) ( 4 – 2): Chris Sale is 7 – 0, and may go Ron Guidry (circa 1979 on us). If anyone will win 25 games in a year, it would be him or Jake Arrieta. Bob Welch won 27 games in 1990 for the A’s was the last guy to do that. Has anyone noticed that Brett Lawrie has an OBP closer to .400 – than his usual .310 – .320? 1. 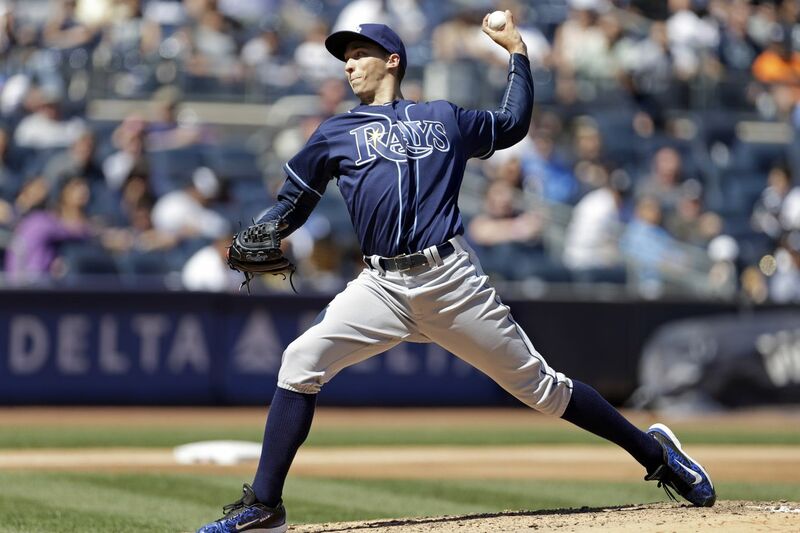 Blake Snell (LHP; Tampa Bay Rays): Snell made his much anticipated major league debut earlier this this week against the New York Yankees. He threw 5 innings, giving up 2 hits, 1 earned run, 6 strikeouts, and 1 walk. This left-hander has done nothing but impress scouts over the past two years, so it is no surprise to see his success in his first start. Following his debut, he was immediately sent down to Triple-A, but it shouldn’t be long before he is back up with the Rays. In 2015, Snell made the jump from High-A to Triple-A. He threw 134 innings, with a 1.41 ERA, 163 strikeouts, 53 walks, and a 15-4 record. He has a plus fastball with lots of movement, a sharp slider, and a developing changeup. His command could still use some work, but it is very clear that he is ready for a full-time spot in the Rays’ rotation. If you have room on your roster, now is the time to stash Snell before he gets promoted again. It is only a matter of time before Snell finds himself in the rotation considering the Rays are currently using a 4-man rotation. Tanner Roark struck out 15 Twins over 7 innings of 2 hit shutout ball and earned the 2-0 decision for Washington. Corey Kluber got his first victory of the season with a decisive 8 innings, 2 hit, 1 run and 10 strikeout performance as the Indians rolled in Detroit, 10-1. Odubel Herrera reached base 5 times, homered, scored 4 runs, drove in 2 and stole a pair of bases and helped Philadelphia win a wild one in Milwaukee, 10-6. Troy Tulowitzki homered twice and added another hit to help lead Toronto past red hot Oakland, 9-3. 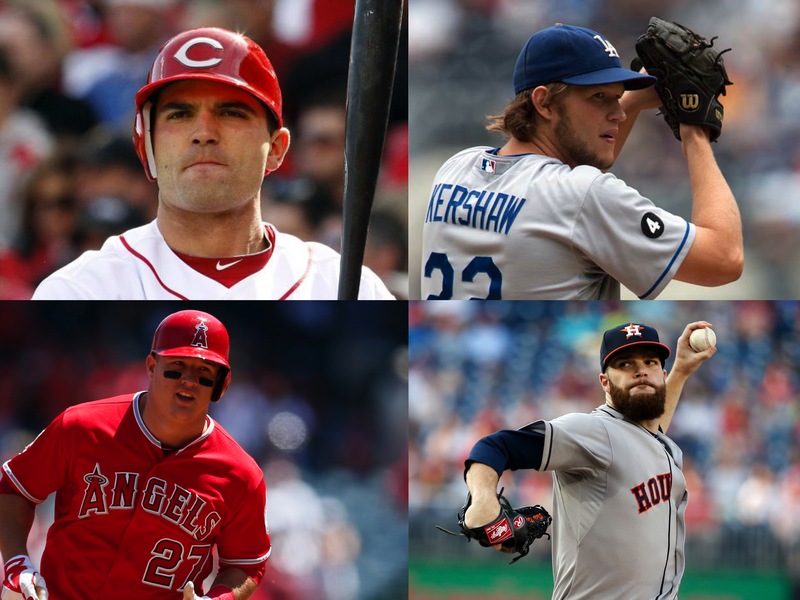 They all owned baseball on April 23, 2016. Opening Day has come and gone. Sure the pageantry of Opening Day will still be there for some of the teams that Mother Nature has forced to wait a day, but the day that we circled on the calendar back in November is behind us. Cedric Hunter is a baseball player. Hunter started yesterday for the Philadelphia Phillies, which by definition makes him one of the top 30 baseball players to have started in left field on Opening Day 2016. Hunter is actually a really good story. He made the Opening Day roster of the Padres back in 2011, and went 1 for 5 before being sent back down. In the scuffle of authenticating the ball from his first Major League hit, Hunter lost the ball. 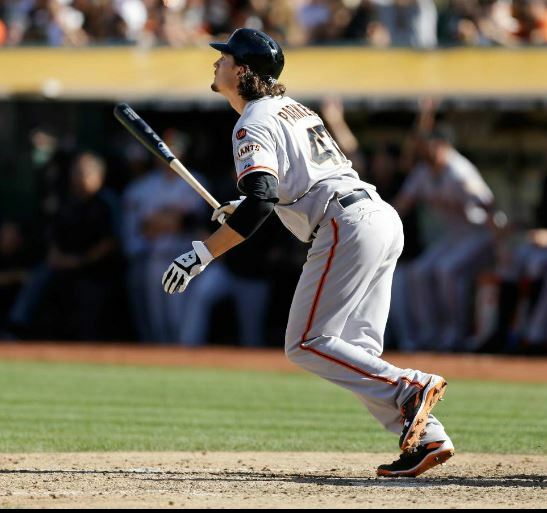 It’s been 5 years and Hunter is still looking for a ball that he hit for a Major League hit. He went 0 for 4 yesterday. 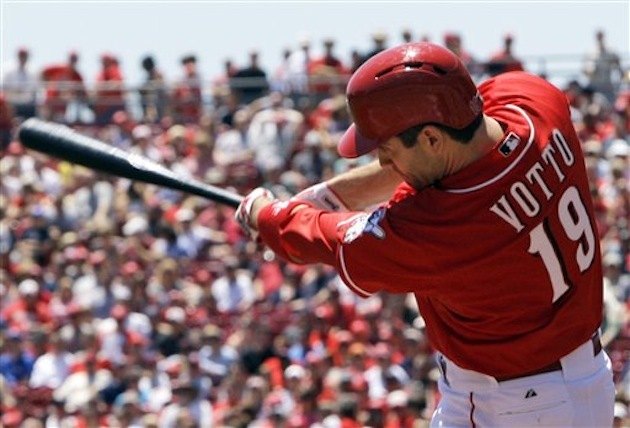 The rebuilding Phillies seem to have a type. They’ve paired Cedric Hunter in the outfield with Odubel Herrera.Toss in Cesar Hernandez, Freddy Galvis and Carlos Ruiz and you have 5 of the 8 position players listed at under 6′ tall. They’re not all burners, but the Phillies seem to be cornering the market on sub-6 foot athletic baseball players. It’s not a bad strategy, considering these guys could be undervalued by the other organizations. 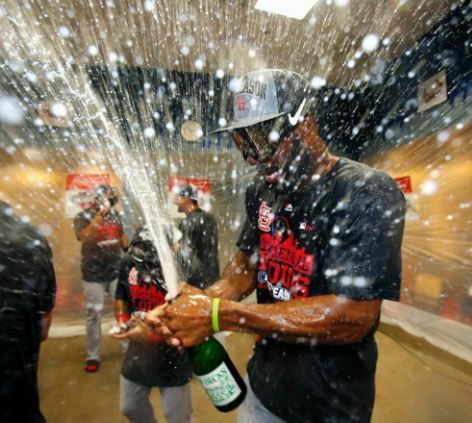 The Phillies have not had a winning season since 2011 after putting forth a decade straight of them. A promising second half to the season – couple with full seasons by Aaron Nola and Maikel Franco could have them inch closer back to achieving that mark in the next few years. 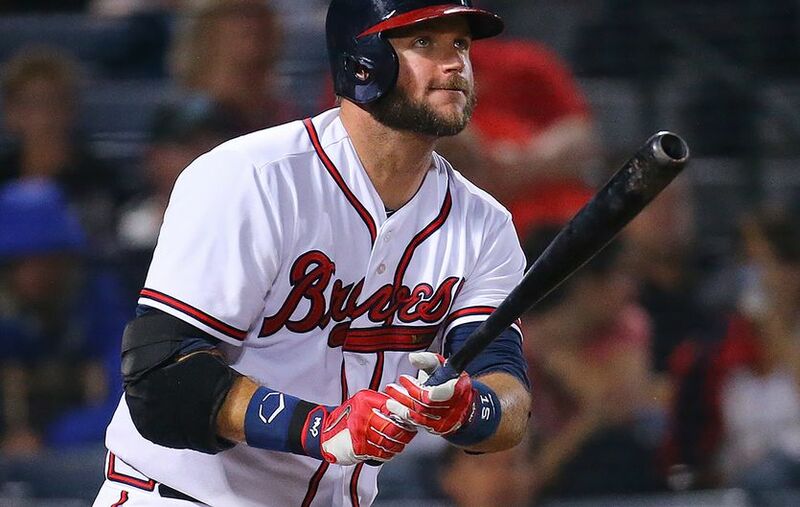 Atlanta Braves: The Braves have quite a few players that they can trade and under John Hart you don’t know what direction they will go in this offseason. I think this team really isn’t 2 bad and could compete for a wild card this season with the addition of a 3B (Rio Ruiz?) and consistent starting pitching.